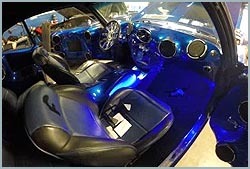 Award winning automotive interiors, custom paint and auto body work. We are experienced technicians, offering a wide variety of customization services for Vehicles, Heavy Equipment, Marine, and Aircraft. Here at The Kuztom Shop, we will have your vehicle looking amazing! We can customize all vehicles, from cars, trucks to SUV's and we guarantee top notch work. 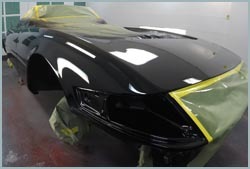 Rather you're looking for vehicle restoration, custom leather interiors, custom auto paint, or just need paintless dent removal, The Kuztom Shop is your one stop shop for all your custom automotive needs. Restore style and luster to your ride! With more than four decades of combined experience, we have been making customers happy for the past twenty years with vehicle restorations and classic car restorations. 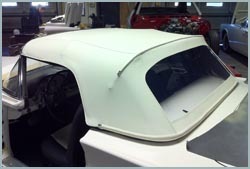 When it comes to custom auto upholstery, customer satisfaction is top priority. We take into account, style, comfort and customer design needs. We provide quality workmanship for all of our car upholstery and upholstery repair services. We can match any color paint, and if you want to customize your vehicle with a custom paint job, we have you covered. In need of minor or major collision repair? 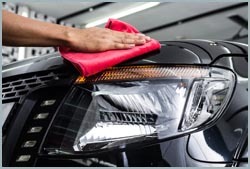 we will have your ride looking like new. We also offer paintless dent removal. The Kuztom Shop can replace your convertible top. We use the finest products from quality OEM manufacturers. We can repair you convertible top as well! Visit our showroom to see our recent work and for an estimate. Replacing headliners is an art! When it comes to headliner repair, craftsmanship and quality upholstery material is crutial. We use Automotive & Marine thread, UV protected materials such as vinly, leather, suede and exotic materials. Our car upholstery experts can replace your old carpet with new carpet and padding, molded to fit your vehicle just like the factory original. We can match all colors, go a shade darker or ligher, or give your car interior a whole new look with a custom color of your choice. Vehicle upgrades & accessories include carbon fiber hoods, rear spoilers, body kits and more. Weather you're looking to just add a custom style to your car, truck or SUV, or you want that custom show car look, here at the Kustom Shop we can make your ride turn heads. 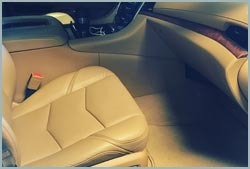 Our auto upholstery experts repair and restore damaged leather, velour, vinyl and plastic materials for much less than replacement cost. 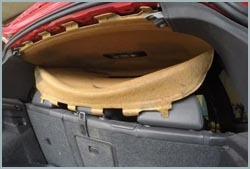 If your car, SUV, or truck interior surfaces are cracked, faded, stained, ripped. 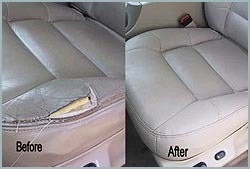 You will be amazed by the results of our innovative upholstery repair process. 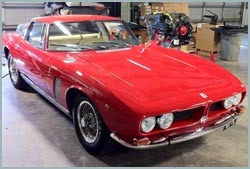 Car detailing is a cost effective way of preserving the longevity of your vehicle. With three coats of aircraft wax, your car will look better than new, and it will maintain that factory finish much longer. Our interior cleaning methods will have your vehicle's interior looking spotless and clean with that new car smell.